The Chop Cup is a magic trick that traditionally involves a cup and a ball. The following procedure describes this trick with two balls for a more dramatic effect for your viewers. Practice your routine until you are confident with your skills and can develop your own versions of this trick, then wow your family and friends when you are ready. Grab your cup and two balls. For more of an impact, use two different sized or colored balls. Make sure to work on a flat, sturdy surface. Practice your false transfer. You can use your own version or you can do the following. Using your right hand, throw your ball up in the air 6 inches. Do this a few times. Now move your right palm over the palm of your other hand as if you are transferring it to that hand. Close your left hand as if you are now holding the ball in that hand. At the same time as you are apparently moving the ball to the left hand, hold the ball in your right hand with your pinkie. Keep you right hand lightly closed around the ball as you open your left hand to show the ball is not in that hand. Practice this several times until you get the hang of it. Practice loading the ball into the cup. Have one of your balls sitting on top of the cup. Tilt the cup forward to roll that ball into your left hand. As you tilt the cup, have the second ball in your right hand held by your pinkie so no one can see it. Then slide the ball from your pinkie under the cup. Now hold the ball up that you rolled off of the top of the cup. 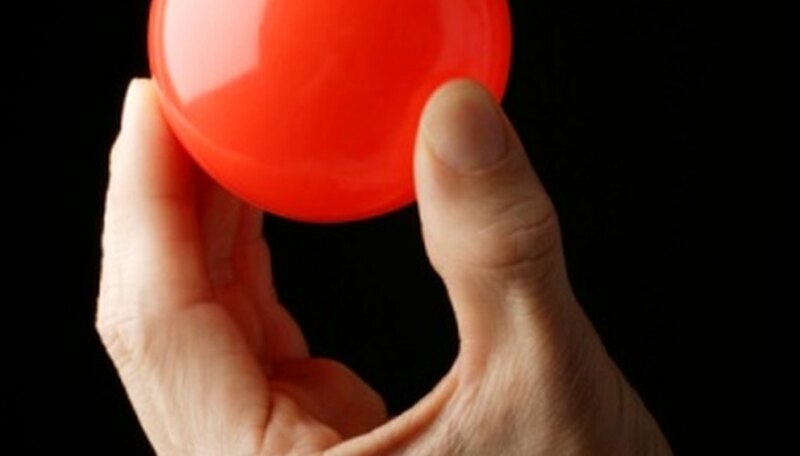 Do your false transfer from the previous step to make it look like that ball disappeared but it is really now hidden in your right hand held by your pinkie. Lift the cup up with your right hand to show your second ball that “magically” appeared there after disappearing. As you lift the cup, transfer the ball that is under your pinkie to the inside of the cup. Slowly put the cup and ball down on the table. Meanwhile, hold the other ball up, throw it up and down or do some other version of distraction. Repeat this ball transfer and disappearing trick as many times as you like. Practice several times and create your own versions. “Fantasma Magic Deluxe Mesmerizing Magic Show”; Roger Dreyer, et al. ; 2009.